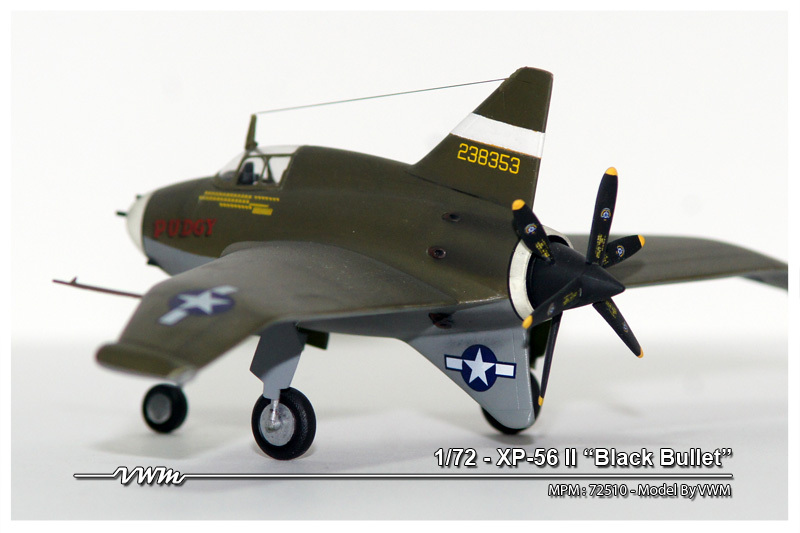 1/72 - MPM: XP-56 II "BLACK BULLET"
Over all this aircraft was build straight out of the box with no aftermarket parts. 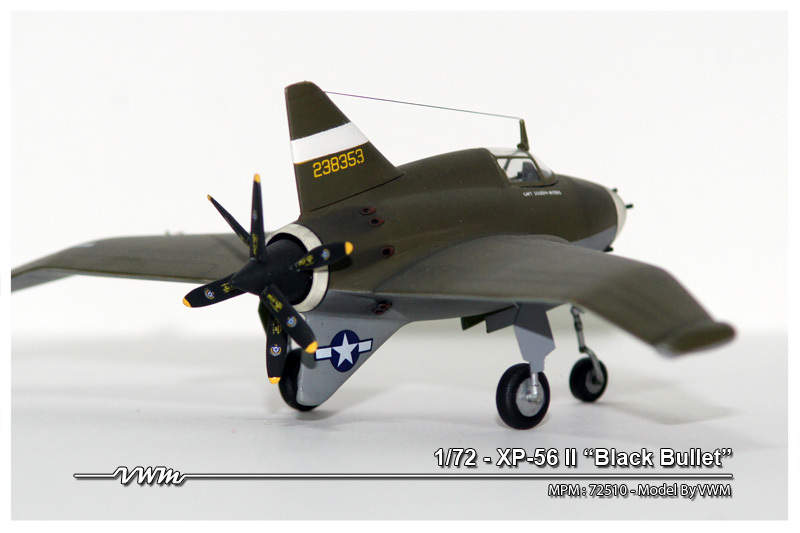 I built the aircraft to represent a “what if” American fighter from the Second World War. 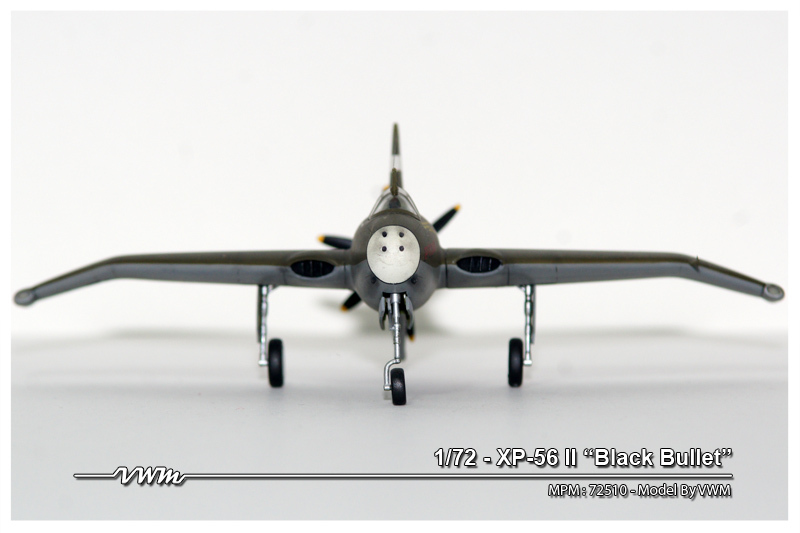 I had to shorten the landing gears as some of the reference images showed the aircraft almost dragging the rear fin on the ground. 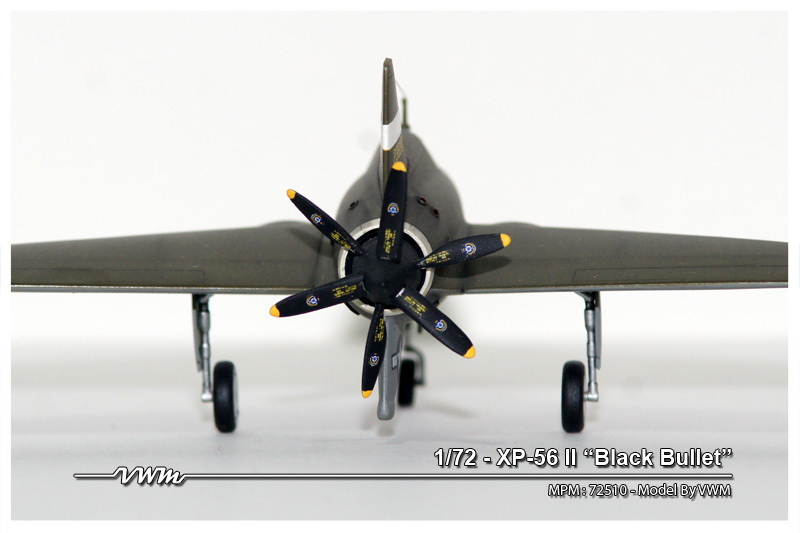 I also removed old exhausts ports and scratch built new ones. 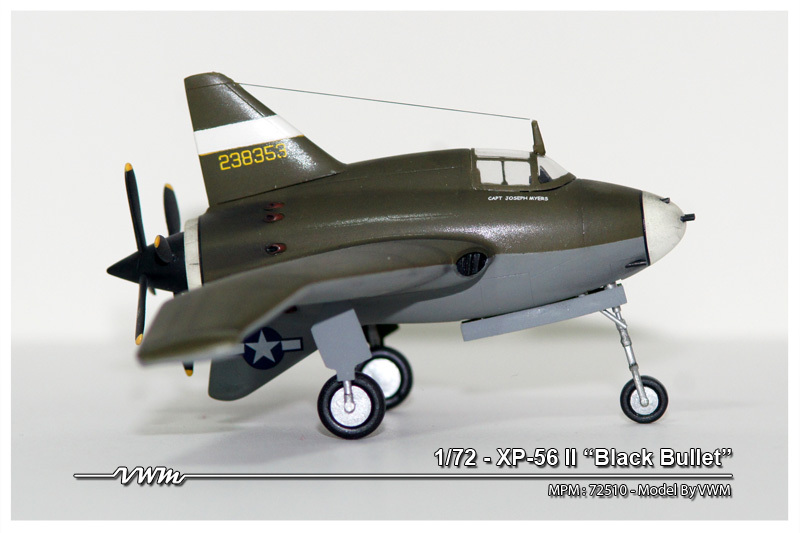 A couple of decals came from my spare box and I added stretched sprue for the antenna. 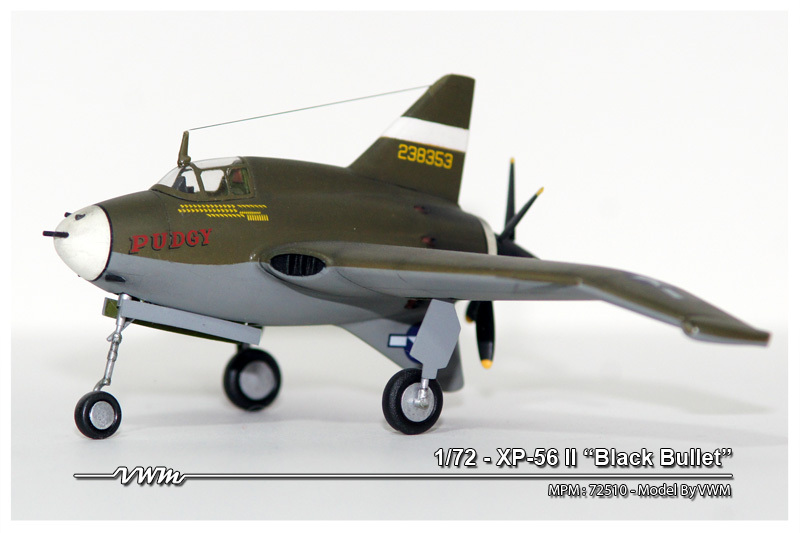 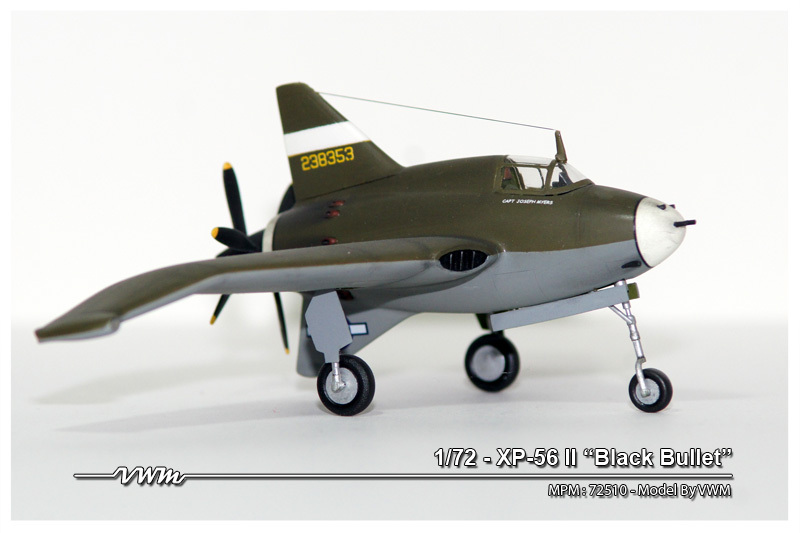 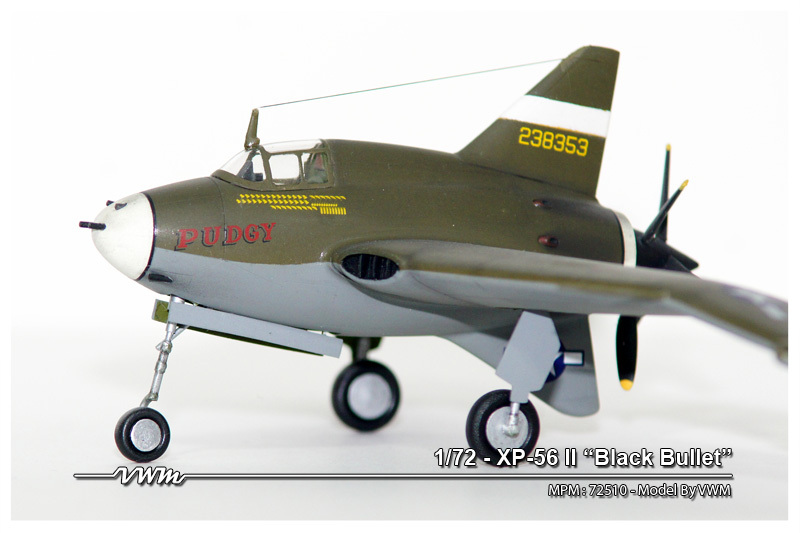 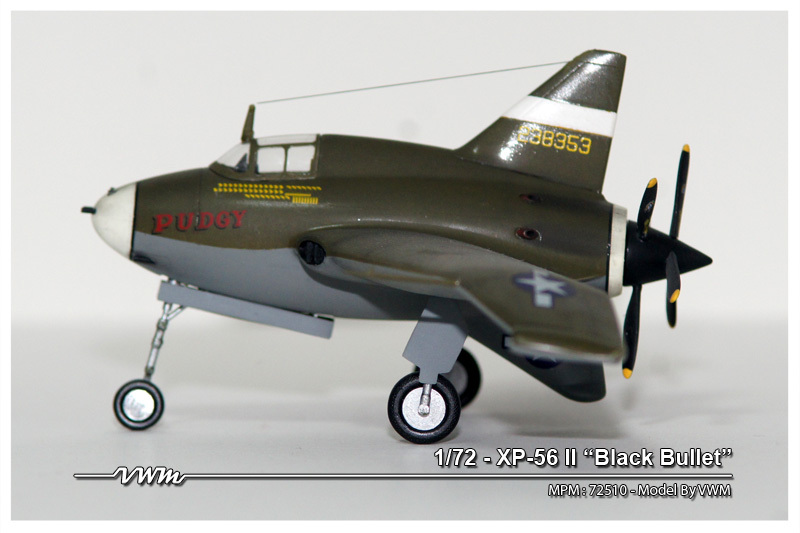 This model depicts the P-56A in service in 1945 European theater.